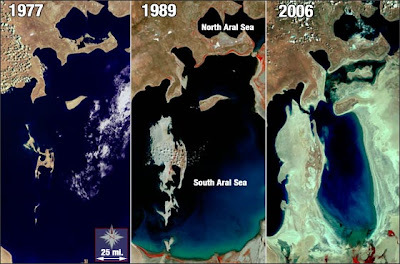 The Aral Sea is definitely one of the greatest environmental crises ever recorded. 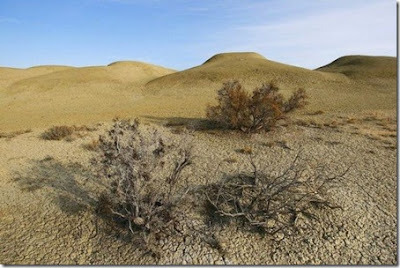 People have used the waters of the Aral Sea for thousands of years, borrowing it from two major nearby rivers. 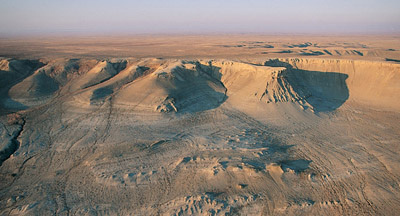 The first is Amu Darya, which flows into the Aral Sea from the south and the second is Syr Darya, which reaches the sea at its north end. Aral Sea is one of less than 20 ancient lakes in the world, estimated over 5 million years of age. 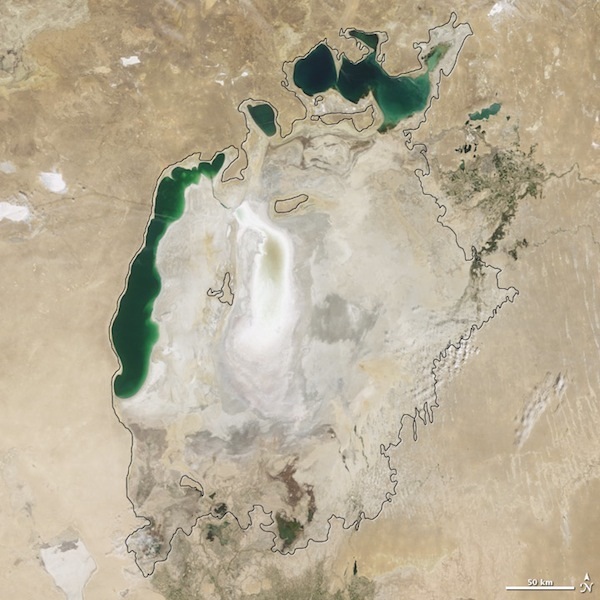 The lake is located between Kazakhstan in the north and Karakalpakstan, an autonomous region of Uzbekistan. When you see a massive desert in the pictures, one can hardly believe that was the location of once one of the four largest lakes in the world with an area of 68,000 square km (26,300 sq mi). The water level has been steadily shrinking since the 1960s after the rivers that fed it were diverted by Soviet Union irrigation projects. By 2007 it had declined to 10% of its original size, splitting into smaller lakes. In the meantime, salinity has increased fourfold. 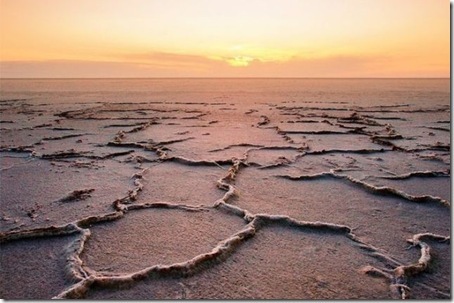 Read more about the Aral Sea disaster.